CHOLESTEROL & STATINS – New Guidelines Drop Targets. The nation’s leading heart organizations released new guidelines on Tuesday that will fundamentally reshape the use of cholesterol-lowering statin medicines that are now prescribed for a quarter of Americans over 40. Patients on statins will no longer need to lower their cholesterol levels to specific numerical targets monitored by regular blood tests, as has been recommended for decades. Simply taking the right dose of a statin will be sufficient, the guidelines say. Have a question about heart health? Try Ask Well. Your question may be answered by a Times journalist or expert. Everyone else should be considered for a statin if their risk of a heart attack or stroke in the next 10 years is at least 7.5 percent. Doctors are advised to use a new risk calculator that factors in a person’s blood pressure, age and total cholesterol levels, among other things. “Now one in four Americans over 40 will be saying, ‘Should I be taking this anymore?’” said Dr. Harlan M. Krumholz, a cardiologist and professor of medicine at Yale who was not on the guidelines committee. The new guidelines, formulated by the American Heart Association and the American College of Cardiology and based on a four-year review of the evidence, simplify the current complex, five-step process for evaluating who needs to take statins. In a significant departure, the new method also counts strokes as well as heart attacks in its risk calculations, a step that will likely make some additional people candidates for the drugs. It is not clear whether more or fewer people will end up taking the drugs under the new guidelines, experts said. Many women and African-Americans, who have a higher-than-average risk of stroke, might find themselves candidates for treatment, but others taking statins only to lower LDL cholesterol to target levels might no longer need them. Zetia has been viewed with increasing skepticism in recent years since studies showed it lowered LDL cholesterol but did not reduce the risk of cardiovascular disease or death. Still, it is among Merck’s top-selling drugs, earning $2.6 billion last year. Another drug, Vytorin, which combines Zetia with a statin, brought in $1.8 billion in 2012, according to company filings. 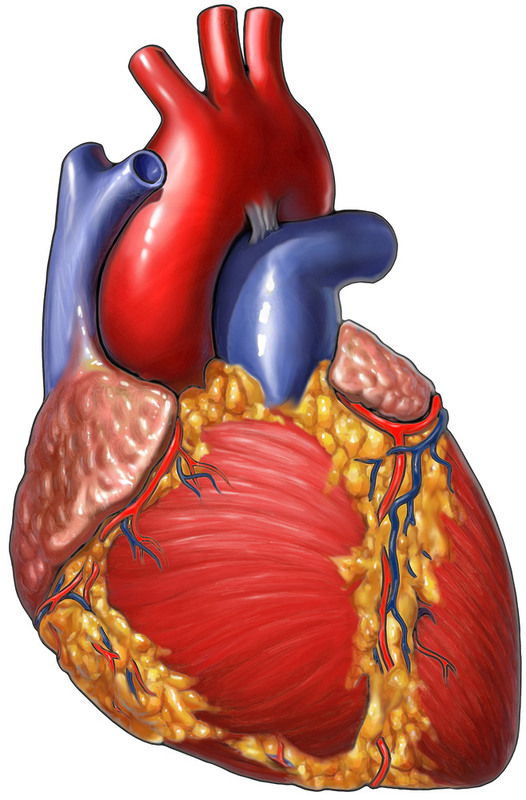 And in May, Merck won approval for another drug, Liptrzeut, which also contains the active ingredient in Zetia and a statin, a development that surprised many cardiologists because of questions about its effectiveness. He and other experts also worry that without the goad of target numbers, patients and their doctors will lose motivation to control cholesterol levels. Dr. Steven E. Nissen, a cardiologist at the Cleveland Clinic, said he thought it would take several years for doctors to change their practices. The process of developing the new guidelines was rocky, taking at least twice as long as previous efforts. The National Heart, Lung and Blood Institute dropped out, declaring that drafting the guidelines was no longer part of its mission. Several committee members, including Dr. Rader, also dropped out, unhappy with the direction the committee was going. The Department of Veterans Affairs conducted its own independent review and came to the same conclusion. About a year ago, the department, the nation’s largest integrated health care system, dropped its LDL targets, said Dr. John Rumsfeld, the V.A.’s national director of cardiology. The department had also used target LDL numbers as rewards for doctors and hospitals, but no longer does. M. Ridker, the director of the center for cardiovascular disease prevention at Brigham and Women’s Hospital, in Boston, said he worried the new guidelines could easily lead to overtreatment. An older man with a low LDL level who smokes and has moderately elevated blood pressure would qualify for a statin under the new guidelines. But what he really needs is to stop smoking and get his blood pressure under control. The American College of Cardiology and the American Heart Association just released new cholesterol guidelines to reduce atherosclerotic cardiovascular risk –- and the change from the previous version, last updated in 2004, is profound. Here are three things you need to know about these new guidelines. First, the guidelines have moved away from achieving target cholesterol levels. Those days are over. The new guidelines recognize that for patients who have exhausted lifestyle efforts and are considering drug therapy, the question is not whether a drug makes your lab tests better, but whether it lowers your risk of heart disease and stroke. Studies over the past several years have shown that improving your lab profile with drugs is not equivalent to lowering your heart risks. Drugs have thousands of effects on the body, and a drug’s effect on an individual lab test cannot necessarily predict its overall effect on you. Importantly, the guidelines still state that cholesterol is important. But the point is that changing your cholesterol level with medications is now accompanied with the appreciation that other effects of the drugs may offset any benefit to reducing cholesterol. There’s one exception to the numbers rule. People with very high cholesterol still need to worry about targets. The new guidelines set that level at 190 milligrams per deciliter – but the principle is that if people have very high cholesterol levels, then their cardiovascular risk is so high that it is likely that treatment to reduce the levels would offset any risks of the drug treatment. So, the new guidelines are saying: we should not be chasing the cholesterol levels alone. The “know your number” campaign is no longer consistent with the guidelines, and the days of doctors adding additional medications to get you to some arbitrary cholesterol level should no longer occur. What is taking the place of cholesterol levels? What should you do now? The guidelines are now focusing you on your overall risk of heart disease and stroke. They indicate that drug treatment is recommended for people with a high risk — and that more powerful treatments are best for those with the highest risk. So what they are saying now is: know your risk of heart disease and stroke. They have published an online calculator to help you -– but more important is the general concept that drug treatment with effective medications (those proven to lower risk) should be used in people with the most to gain. The guidelines do set thresholds for risk, but my view is that these recommendations should not be considered dictums to be followed without question. They say that if your 10-year risk of heart disease and stroke is 7.5 percent or higher, then you should be treated with drugs. However, I believe that only you can determine what constitutes a high enough risk that it is worth it to you to be treated with drugs. Such a decision depends on how you feel about your risk of heart disease and stroke and how you feel about taking drugs — and their risks and benefits. Third, use medications proven to reduce risk. The understanding that simply improving cholesterol lab tests may not reduce your risk for heart attack and stroke has focused attention on the choice of drug therapy. In the “treat to target” era, there was a sense that we could use any of the medications to lower LDL — and what was most important was the lab test. However, there have been numerous studies showing that many popular drugs that may have improved lab tests for cholesterol failed to reduce risk. These studies led the authors of the guidelines to make a distinction between proven and unproven medications. Thus, the focus of the guidelines is on statins, the drug class with clear evidence that it can lower risk in many groups of patients. In fact, statins seem to lower risk regardless of your cholesterol levels. This fact has led many of us to think about statins as risk-reduction medications rather than just medications that modify cholesterol levels. Regardless, the evidence that statins lower risk is very clear. So the guidelines now make clear that if you use drug therapy for higher risk, you should use statins. If you cannot tolerate one statin, you might want to try another statin, after consultation with your doctor. If you use another type of drug, then you should know whether that drug has been shown to reduce risk in contemporary studies. Many popular drugs, like Zetia (ezetimibe), have yet been proven to save lives. Bottom line: The new guidelines are a marked departure from the era of chasing targets and being agnostic to the drugs you used. The new message is don’t chase targets, know your risk, and — if you need drug therapy — use statins. These principles should guide your discussions with your doctor. Harlan Krumholz is a cardiologist and the Harold H. Hines Jr. Professor of Medicine, director of the Yale-New Haven Hospital Center for Outcomes Research and Evaluation (CORE) and director of the Robert Wood Johnson Clinical Scholars Program at Yale University School of Medicine. This entry was posted in Cancer, Cryoablation, Kidney Cancer, Magnetic resonance imaging, Surgery, Tumour and tagged African American, American College of Cardiology, American Heart Association, Ezetimibe, GL-W, Greg Lance-Watkins, Greg_L-W, Heart, LDL, Low-density lipoprotein, Myocardial infarction, University of Pennsylvania. Bookmark the permalink.